When you are buying or selling a home in the Fredericksburg, VA real estate market, it's important to have confidence in your real estate professional. The Katie Mudd Real Estate Group is a team of professionals ready to meet the challenges faced by today's buyers and sellers. Every member of the team is a Realtor with over five years experience and professional designations including Short Sale and Foreclosure Resource and Certified Distressed Property Expert. When you are an informed buyer or seller, you'll make the best decisions for the most important purchase or sale in your lifetime. That's why our goal is to keep you informed on trends in the greater Fredericksburg, Virginia marketplace using the latest statistics. 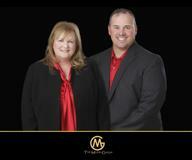 Katie Mudd has over 20 years of sales and marketing experience. Our internet presence includes but is not limited to katiemudd.com, realtor.com, remax.com, zillow.com, visualtour.com, Washingtonpost.com,realestatebook.com, officialforeclosurenetwork.com,homesdatabase.com,postlets.com, oodle.com, youtube.com, katiemuddrealestate.com, and more... Our listings can be found in print ads including the Freelance Star House and Home Section, Real Estate Book, Showcase of Homes and the Home Buyers Journal. Every listing receives a visual tour that is featured on realtor.com, youtube, homesdatabase and postlets and our blogs. You can rest assured that when you list your home with Katie Mudd you will have an unsurpassed prescence on the internet and in print. First Time Home Buyers have incredible opportunities with interest rates at or below 5% and significantly lower sales prices. It is important to have a real estate agent who understands how to navigate through short sale and foreclosure home contracts. As a local area expert with knowledge of the Fredericksburg, Spotsylvania, Stafford, Caroline and Prince William communities, my objective is to work diligently to assist you in meeting your real estate goals. If you are considering buying or selling a home or would just like to have additional information about real estate in your area, please don't hesitate to call (540)538-1154or e-mail katiemudd@comcast.net Thank you for visiting our website - please consider it as your online source for the Greater Fredericksburg, Virginia real estate information, and visit us often for the latest property listing updates.